Honda’s metro-tastic PCX150 scooter line gets an upgrade that we’ll get to see on U.S. showrooms come July of 2018. It includes a facelift from stem to stern that further polishes its ’luxe metropolitan looks to bring more of the swank and swagger associated with the marque, and it comes paired with a more voluminous underseat storage area to increase its ’commuterability’. Style and function is a tough combination to beat, so let’s dig a little deeper and see what else the Red Rider engineers have in store for us. 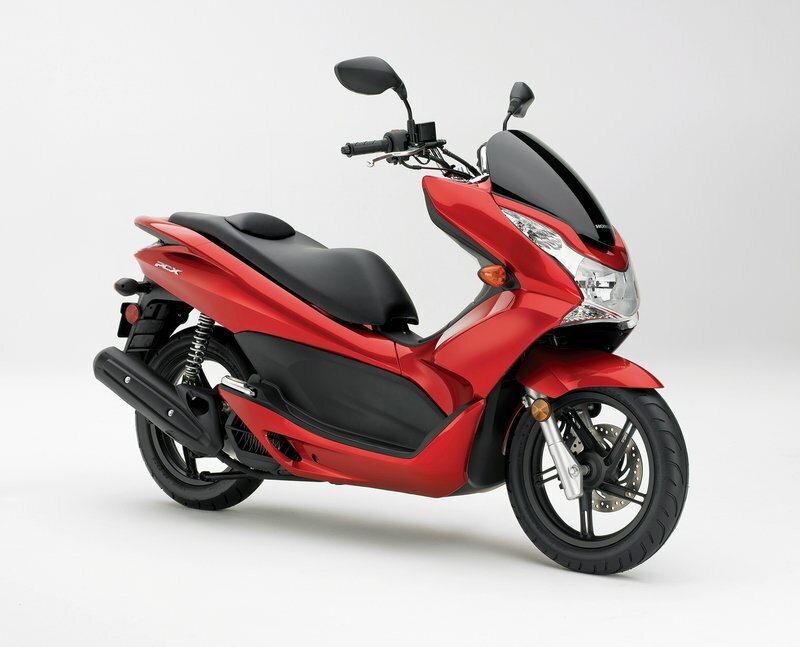 Continue reading for my look at the Honda PCX150. Prior to 2013, the PCX came with a 125 cc engine and a 1.6-gallon fuel tank in the US. With a make-over in 2013, the PCX125 gave way to the PCX150 and a new chapter in the globally produced Honda scooter was launched. Since then, the scooter has received periodical updates to keep things fresh in the segment. Now, Honda Japan is launching a new PCX carrying the same old 125cc mill but this time, they have a new trick up its sleeve. Launching a couple of months from now, the new PCX 125 will carry a hybrid powertrain. 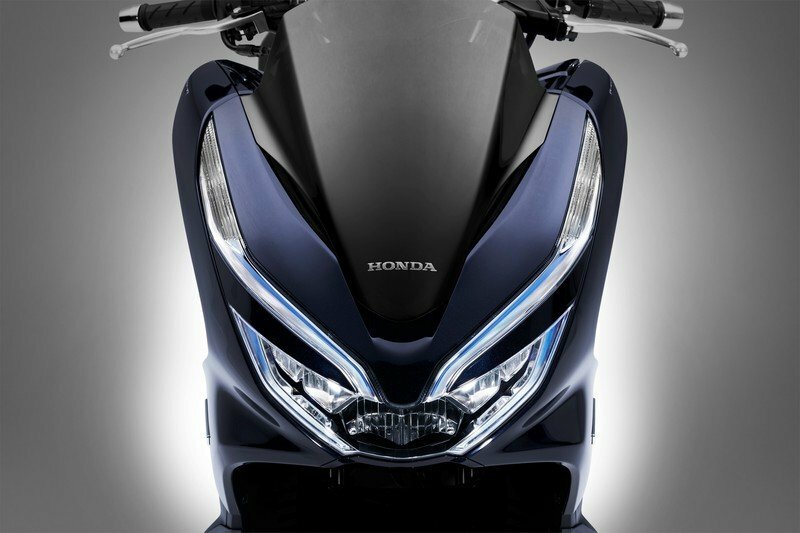 Doing so, Honda Motor will become the first manufacturer to launch a production hybrid scooter and it was first showcased at the previous Tokyo Auto Show. Much like Honda’s mid-size Forza125 got some love ahead of the 2018 model year with new body shapes paired with features that fans of the family will readily recognize. An all-new foundation supports the PCX125 from the wheels up through the suspension and frame with ABS as the icing on the cake. A more powerful, 12-horsepower engine drives the 2018 model that targets that hotly-contested, and all-important, entry-level market. Will it be enough to compete in this field? Let’s dig right in and see how it stacks up against the most likely contenders. Continue reading for my review of the Honda PCX125. Prior to 2013, the PCX came with a 125 cc engine and a 1.6-gallon fuel tank. With a make-over in 2013, the PCX125 gave way to the PCX150 and a new chapter in the globally produced Honda scooter was launched. Since then, the scooter has received periodical updates to keep things fresh in the segment. For 2018, Honda has given it yet another update to take satisfaction levels even higher. 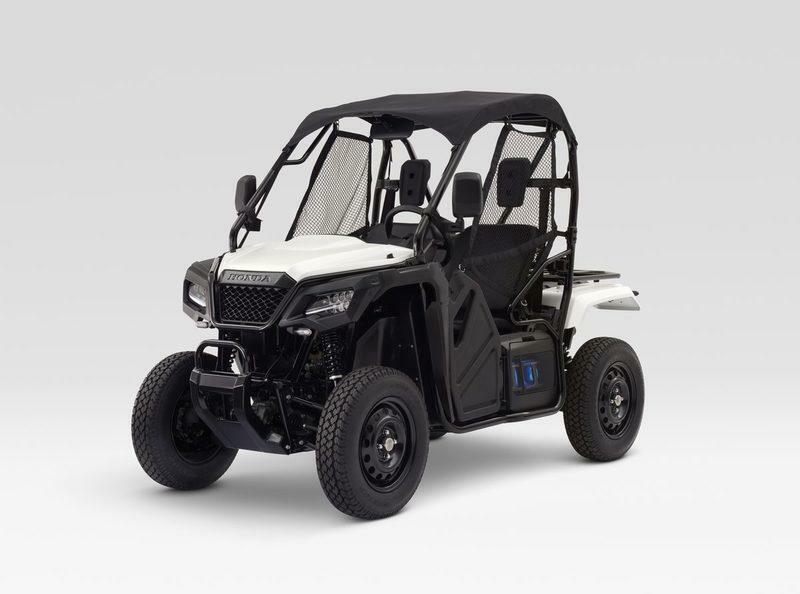 This update includes an all-new chassis, revised engine, updated comfort levels and ABS is now an optional package. Honda has always been at the forefront of technology and is a major player in the world of automotive solutions. Their recent significant development has been the introduction of electric vehicles onto the market and products and services supporting their sustainability. Unveiled at the 2018 International CES, Honda showcases their brand new project, the Honda PCX Electric scooter and the replaceable batteries that can be standardized across all their EVs’ churning inside their factories in the future. A full electric scooter, a hybrid scooter and a bike that can balance itself. There is no denial in the fact that people will eventually stop filling their vehicles with liquefied dinosaurs and shift to electric. Not because they’ll like it but because there won’t be an option in the future. So automotive manufacturers have already begun the race to be at the top when that happens, and have kept their workforce busy in spinning out vehicles for that future. Honda, with a fanbase of 28 million customers all around the world, is just doing that and have showcased their take on this challenge at the ongoing Tokyo Motor Show which includes the Honda PCX Electric, the Honda PCX Hybrid and the Honda Riding Assist-e.
After a revamp in 2015, the PCX150 from Honda continues strong in the scooter market, now with a bigger engine, a sportier look and a larger capacity fuel tank. 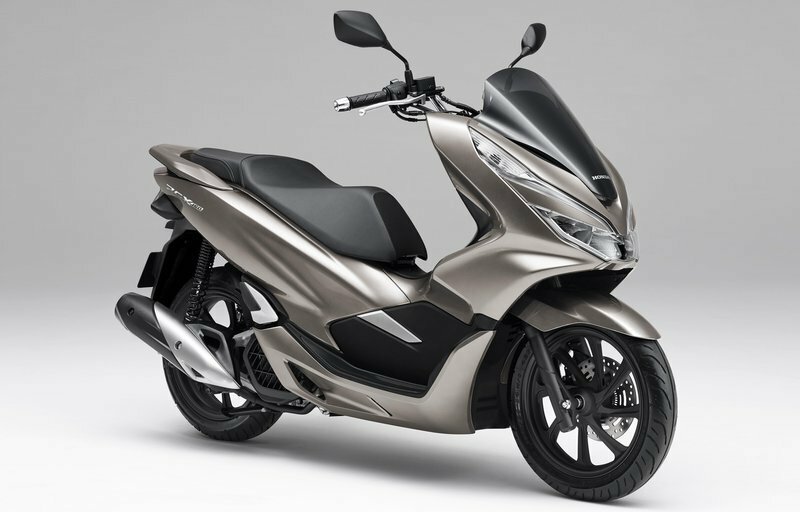 Originally developed, designed and manufactured in Thailand, the PCX was popular as a commuter bike that offered extra-value-added in luxury feel and performance. Marketed in Europe where riders appreciate scooters for their ease of use, the PCX gained popularity and Honda soon realized the reality of having a truly global model of scooter. Prior to 2013, the PCX came with a 125 cc engine and a 1.6-gallon fuel tank. With a make-over in 2013, the PCX125 gave way to the PCX150 and a new chapter in the globally produced Honda scooter was launched. Continue reading for my review of the Honda PCX150. Agile, compact and efficient. Not to mention about the futuristic design language, so what more can you want from a scooter? 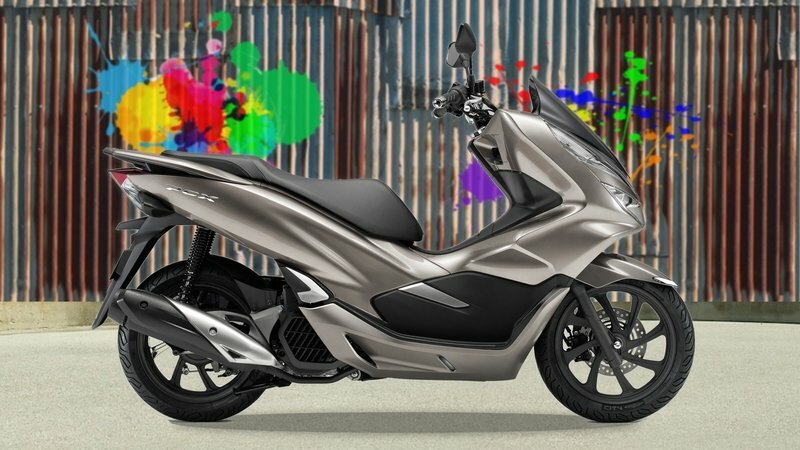 The PCX150 is PCX125’s big brother and is fitted with a slightly bigger engine which will be able to accompany you wherever and whenever you need to go. The one cylinder engine has a 150cc displacement is liquid-cooled, and also comes with fuel injection. 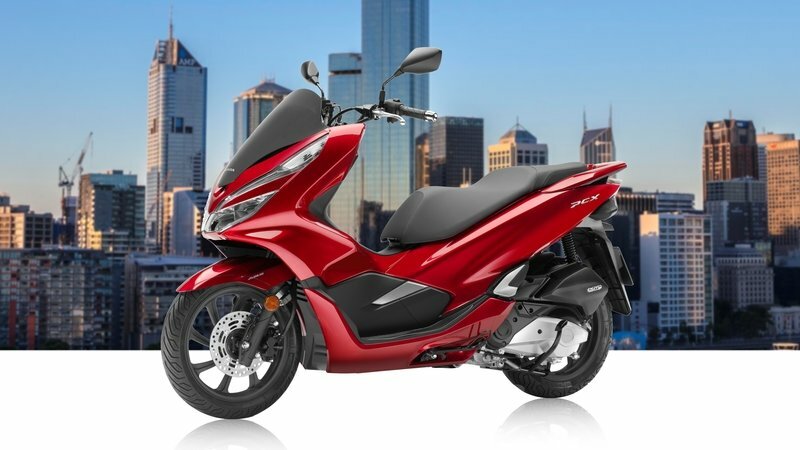 Beside its lively engine, the Honda PCX150 was designed with ergonomy in mind so carries a multitude of features that make it stand out from the rest of its competitors. For the starters you get a spacious compartment under the seat, then there is the sculpted seat and the comfortable riding position. 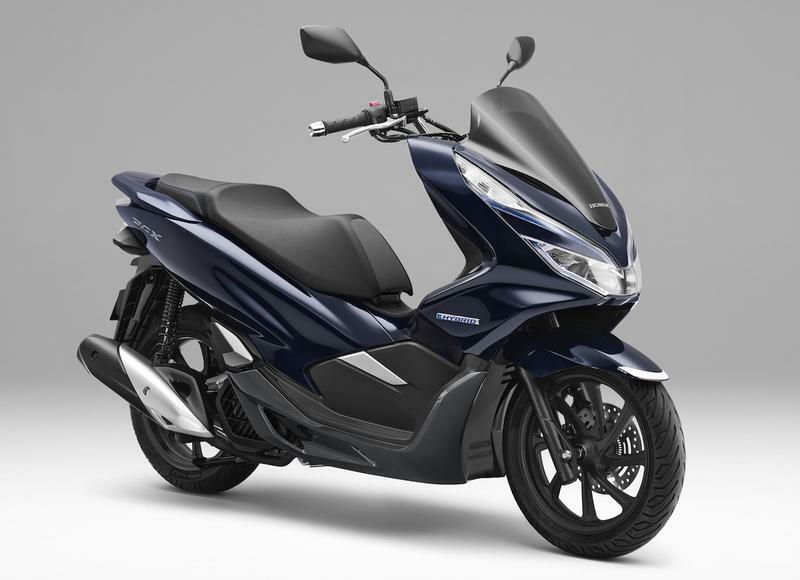 The PCX150 comes in offered in two color options, including Metallic Black and Candy Red. The scooter is offered with transferable, unlimited-mileage limited warranty. 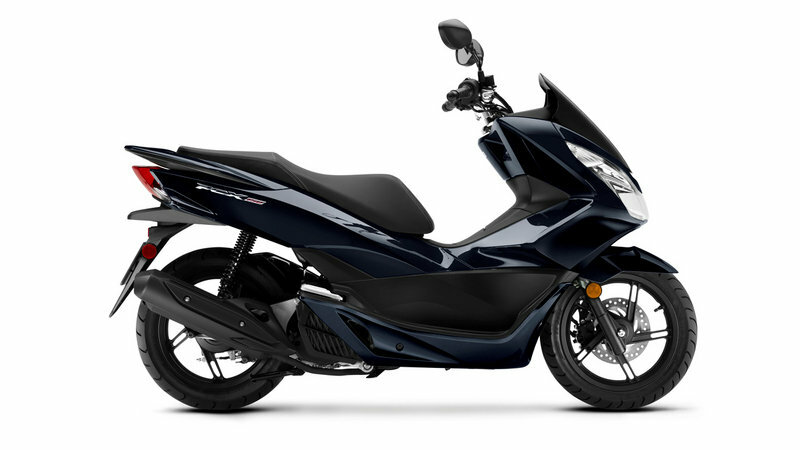 Hit the jump for more information on the 2013 Honda PCX150.